Florida Commissioner of Agriculture Nikki Fried celebrates a menu full of Fresh From Florida produce with local Subway franchise owner Brian Smith [right] and grower Scott Rush of Lipman Family Farms. 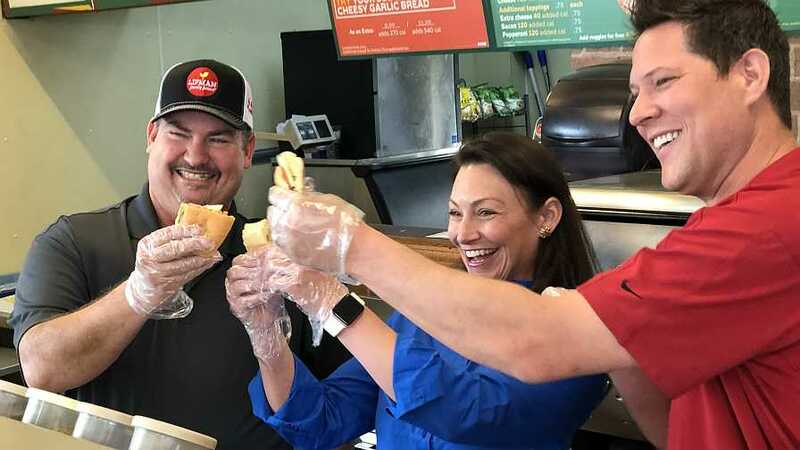 Florida Commissioner of Agriculture Nikki Fried recently stopped in at a Subway restaurant in Tallahassee — not just to eat, but also to highlight a renewed Fresh From Florida-Subway partnership that promotes Florida-grown produce. From March 1 through April 30, nearly 1,500 participating Subway locations will use Fresh From Florida seasonal produce in their menu items. The partnership has been a success for both Subway and Fresh From Florida for the last couple years. In 2017, Subway purchased roughly 60 million pounds of Florida-grown cucumbers, bell peppers, and tomatoes. 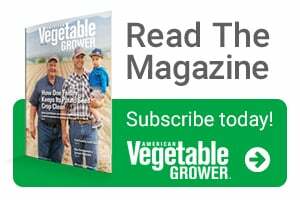 In 2018, the fast food giant bought 74 million pounds of seasonal produce from Florida growers.